Enjoy a meal at the restaurant or snacks in the coffee shop/café. The hotel also offers room service (during limited hours). Quench your thirst with your favorite drink at the bar/lounge. Cooked-to-order breakfasts are available daily from 7 AM to 10 AM for a fee. Featured amenities include a 24-hour business center, a 24-hour front desk, and luggage storage. A roundtrip airport shuttle is complimentary (available 24 hours). The Fiji Beach Resort and Spa Managed by Hilton boasts an ideal beachfront location on 1.5 km of beach. Discover a paradise of sun, sea and sand at this relaxing resort in Fiji. Indulge in a relaxing massage overlooking the sea or choose from an array of treatments at the award-winning Pevonia concept spa. Relax and unwind as the kids enjoy beach games, treasure hunts and fun activities at The Kids Club. Relax by the hotel's spectacular swimming complex offering seven separate pools. Swim laps in the Serenity pool while the children play in the Activities pool. 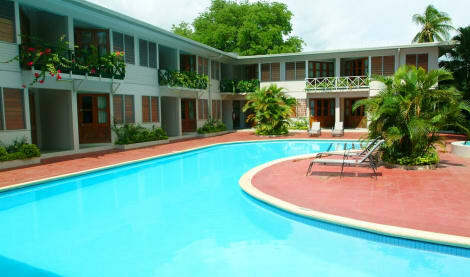 Unwind at the poolside or enjoy a fantastic range of nearby water sports. Play a game of tennis or a round of golf at Denarau Golf and Racquet Club, located just five minutes away. Enjoy a delicious breakfast buffet and stunning views at the beachfront Nuku restaurant or enjoy a romantic, candle-lit meal at Maravu and watch the sunset over the Pacific Ocean. Enjoy a fresh coffee and delicious pastry at L'Epicier, famous for its extensive espresso menu or retire to your Guest Room with private terrace for a barbeque under the stars. Beachfront accommodations include modern day conveniences such as a lounge, kitchen, barbeque, washer and dryer. Choose one of the spacious Villas for the ultimate beachfront accommodation, perfect for couples, groups of friends and families. Upgrade to a Deluxe Beachfront Villa to enjoy a shared plunge pool. Featured amenities include a computer station, dry cleaning/laundry services, and a 24-hour front desk. Event facilities at this resort consist of conference space and a meeting room. A shuttle from the airport to the hotel is complimentary (available 24 hours). Featured amenities include complimentary wired Internet access, a 24-hour business center, and limo/town car service. Event facilities at this hotel consist of a conference center and a meeting room. A roundtrip airport shuttle is complimentary (available 24 hours). 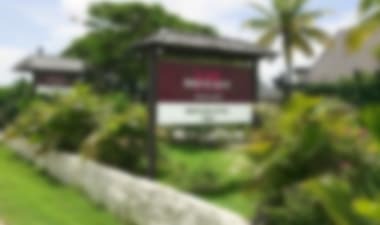 With a stay at Hexagon International Hotel, you'll be centrally located in Nadi, a 3-minute drive from Wailoaloa Beach and 13 minutes from Port Denarau. 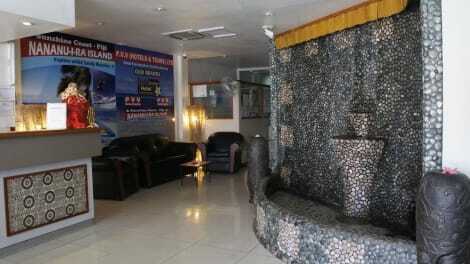 This hotel is 5.5 mi (8.9 km) from Port Denarau Marina and 5.5 mi (8.8 km) from Denarau Beach. At Smugglers Cove, enjoy a satisfying meal at the restaurant. Wrap up your day with a drink at the bar/lounge. Satisfy your appetite with international cuisine at Pool Side Restaurant, a beachfront restaurant which features a pool view. Dining is also available at the coffee shop/café. Unwind at the end of the day with a drink at the bar/lounge or the beach bar. Cooked-to-order breakfasts are available daily from 6 AM to 10 AM for a fee. Featured amenities include complimentary newspapers in the lobby, dry cleaning/laundry services, and luggage storage. A shuttle from the airport to the hotel is complimentary (available 24 hours). 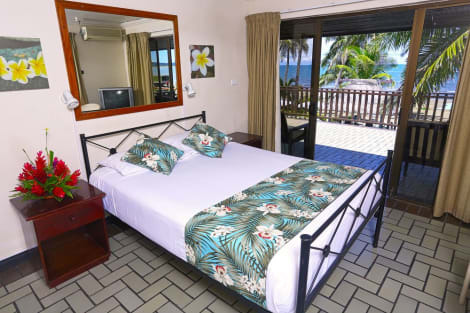 lastminute.com has a fantastic range of hotels in Nadi, with everything from cheap hotels to luxurious five star accommodation available. We like to live up to our last minute name so remember you can book any one of our excellent Nadi hotels up until midnight and stay the same night.